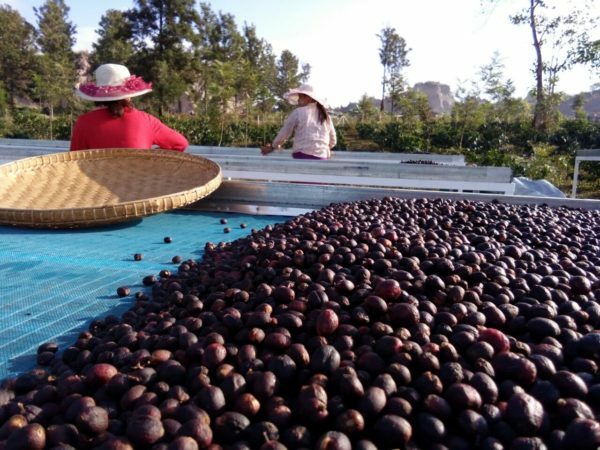 In Myanmar, formerly Burma, smallholder farmers in Ywangan, in the Southern Shan State, began growing coffee in the early 1980s, as a substitute crop for poppies. A small amount of coffees at MCG are “dry natural” processed. 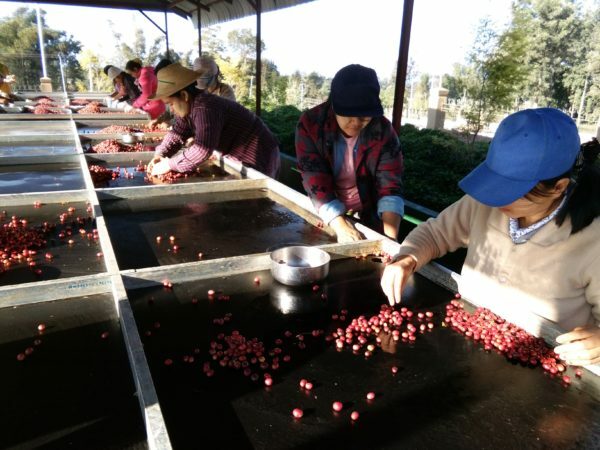 Cherries are rinsed, floaters are removed and workers remove any bad fruit or stones. The fruit is then spread in the sun on raised beds, turned hourly and covered at night, to protect it from moisture. This drying period takes between 17 and 21 days. Cupping notes: Juicy and clean, with a rich body and notes of blackberry, vanilla and citrus.